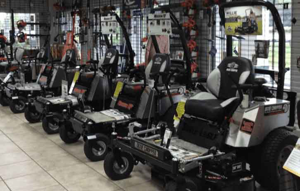 With over 39 years in business, Capri Equipment Center serves as one of the finest lawn mower dealers serving Naples and the surrounding areas. Our wide range of products includes commercial and residential lawnmowers, power washers, leaf blowers, and more. We sell only superior quality products and customer satisfaction is our top priority. Call us at (239) 307-6841.